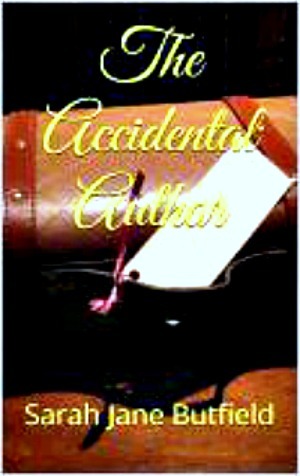 Although I have always enjoyed writing I came to being a self published author by accident. I had a long held dream of writing a romantic fiction novel. As this was a bucket list item I took a course in creative writing to upskill to be able to maybe one day achieve my dream. I haven’t written a romance novel yet, but I have inadvertently self published three travel memoirs. How did you come up with your stories? My three travel memoirs to date are based on my personal experiences in Australia and France. My new series of guides for new and aspiring authors are based on my personal experiences in the business of self publishing so the honest answer is I find my stories from my daily life. Who would you cast to play you and your family if your books were made into a movie or television series? My children have debated and joked about this question ever since I published Glass Half Full. They seem to think that Robson Green or Daniel Craig would be best suited to play my action man husband Nigel. They have varying opinions on who would take my role ranging from Meryl Streep to Helen Baxendale. What is your main reason for writing? I came to writing as a career somewhat by accident after 28 years as a nurse. I have always nurtured the dream of writing a book, taking the old adage that everyone has a book in them to heart, however I always imagined it would be a romance novel and not memoirs that sprung up from a period of adversity whilst pursuing a dream life downunder! I’ve only read one of the books so far. What is the idea behind your series? 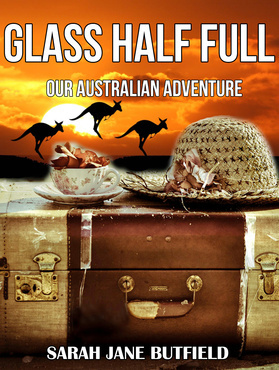 Books 1-3 in the Sarah Jane Travel Memoir series are travel memoirs formulated from my journals written during our time spent living and working in Australia and France. How do you balance marketing one book and writing the next? I love marketing but I am acutely aware that time management in relation to marketing and writing activities is key. I am a bit geeky in that I plan my day and allocate slots of time for social media, writing and general marketing activities, which is essential when you have a busy home life to juggle as well. Having said that, I am not always successful in keeping to my plan as I can be distracted by a good book! I am a new first time grandma so any available time is spent with my grandson Shane who is now 13 weeks old. Tell us one odd thing about you and one really mundane thing. Odd – I have been known to go out in my slippers by mistake and my kids delight in not telling me until we are in the supermarket. Mundane – I find clearing up after cooking the dullest task ever, luckily as I am often criticised for my poor stacking of the dishwasher I am banned now from touching it which means I escape the clearing up most days. What else would you like us to know about yourself and your books? I am really enjoying helping some aspiring and debut authors at the moment and although relatively new to self publishing myself if I can help any of them by sharing the knowledge I have learned and had shared with me then it will all be worthwhile. The networking aspect of being a published author is awesome and the fact that so many people give of themselves to help others inspires me to reciprocate in any small ways that I can. I have a few people I use now for different purposes. I have achieved this mix after some bad experiences. I use Brenda Donovan and Martin Papworth and 6 of the Rukia tweet team as beta readers. My husband Nigel is in charge of quality control, he has a critical eye for design and detail, from book layout to the book cover pixel quality. He doesn’t pull any punches when advising me of his suggestions for revisions. How have you found the experience of self-publishing? What were your highs and lows? I love being self-published, especially when you consider that I didn’t know or understand what was involved in the process until September 2013. It is a continual learning curve and an exciting journey during which I am relishing every step. I am making a great network of friends and colleagues in writer, reader and blogger groups and forums. I enjoy learning new skills and get a great deal of satisfaction from sharing my acquired knowledge, ideas, hints and tips with debut authors in the hope that some of the challenges I faced can be avoided by new or aspiring authors. What do you like best about writing? What’s your least favourite thing? Best – I love finishing a project and pressing the publish button! Least favourite – waiting for the first beta reader feedback incase the book is dreadful. What is your advice to new writers? Enjoy yourself, write freely and network with people who have a passion for writing. Who are your favourite independent writers? I am currently reading Fred’s Diary 1981 by Robert Fear ebook format. Only fools and horses I like simple humour! What (not who) would you like to take to a lonely island? My notebook and pen, I cannot survive without it! Who would you like to invite for dinner? What would your friends say are your best and your oddest quality? Best quality is my patience. What would you chose as those qualities? I think my best quality is my commitment to my family, I defend then to the end and support them in everything that they aspire to achieve. My oddest is probably my ‘wombling’. I find odd things when out walking or shopping and always think that I will make something or use them in some way, but often never get round to it. 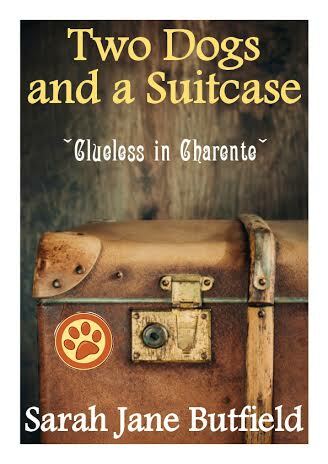 Aside from my travel memoirs I have also been documenting my writing journey and I am publishing it as a series of guidebooks to help and inspire new or aspiring authors. I also have found from my beta reader feedback that some avid readers of self published authors are curious as to the processes and experiences that we go through and as such they think the guides may be of interested to this reader group. What song would you pick to go with your book? 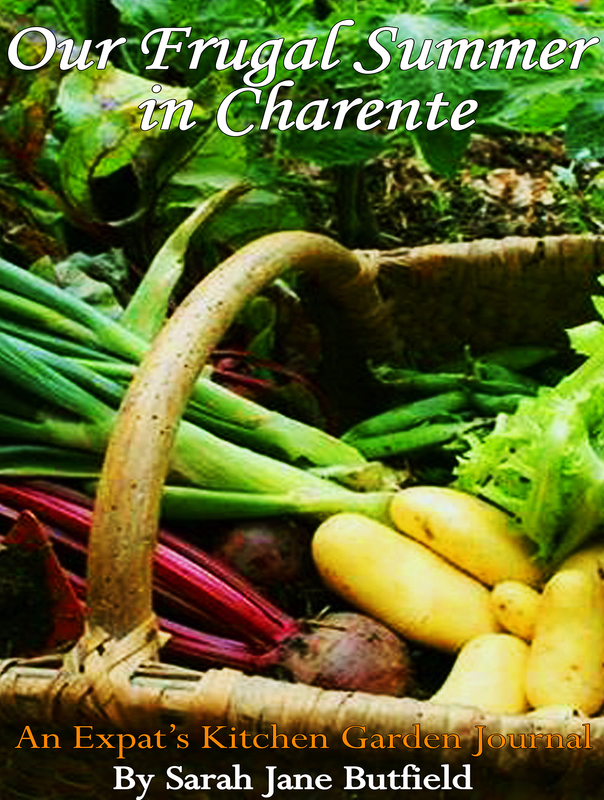 For Our Frugal Summer in Charente – The theme tune to The Good Life television series. How do you handle criticism of your work? Although when you first hear or read it criticism can appear hurtful and harsh, it is important to take a step back and assess the criticism for any areas of potential improvement. That said, when the criticism is personal and targeted at my family or our relationships/decisions it is harder to remain objective about. 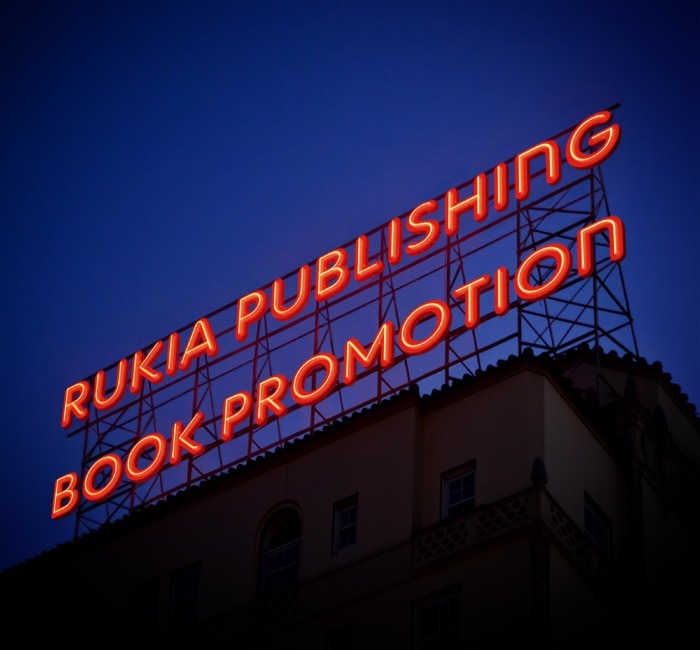 I also wanted to let you know that the Rukia author team are starting a free daily newsletter to allow authors to advertise promo’s, events, new releases etc., for free. We are currently spreading the word for a start date on 1st March. We have a reader advocate spreading the word to reader groups and book clubs so that they can receive it as a resource to access news and discounted books. Authors – Have you signed up to #RPBP News to use this FREE book promotion and marketing tool? Thank you so much Christoph for featuring me, it was good fun! Terrific interview, Sarah Jane and Christoph! I really enjoyed it. SJ is one of the hardest working, and most giving, indie authors I know. The lengths she goes through to help others never ceases to amaze me, and I feel very fortunate to be able to call her my friend. Thanks Tom. I’m honoured to have SK on my blog and am pleased to say that there is more to come about her on my blogs this week. To make you feel jealous – SJ and I will soon be neighbours in real life! Thanks very much, Christoph. If we indies all pitch in just a little, we can be a huge help to each other. And you and Sarah Jane are going to be neighbors? That’s terrific. You can borrow sugar and books from each other. Ha! Can’t wait to be neighbors Christoph!! You are right Tom by pitching in together we achieve so much more, let’s keep the momentum growing!! Great guest Christoph. Thanks for introducing me to Sarah Jane! Nice interview and I want to thank you for following my blog. Thanks John. The pleasure is mine! Sara Jane, you sound like quite a character and a prolific author. Nice job (as usual), Christoph! I definitely meant that as a compliment and I’m glad you took it that way!